Luxury comes standard in each of our 1, 2, and 3 Bedroom Apartment Homes and Townhomes for rent at Alta Brighton Park. Our Summerville, South Carolina, community boasts a variety of floor plans so you can choose the perfect apartment home to fit your needs. Whether you’re looking for a one bedroom apartment to share with your pet, a two bedroom apartment with room for guests, or a three bedroom apartment for the entire family, Alta Brighton Park has the bright, open space for you. No matter which floor plan you choose, your new home in Nexton has luxurious features designed to make your life more comfortable and convenient. Hardwood-style flooring is both handsome and easy to clean, and the in-home washer and dryer helps you keep up with laundry without leaving home. In your fully equipped kitchen, you’ll find custom cabinetry, granite countertops, and sleek stainless-steel, energy-efficient appliances that lower your energy usage. Tile backsplashes and pendant lighting add stylish touches, while your private balcony or patio creates an outdoor space all your own. Central heating and air conditioning and ceiling fans ensure your apartment home remains cool and comfortable, no matter the temperature outside. 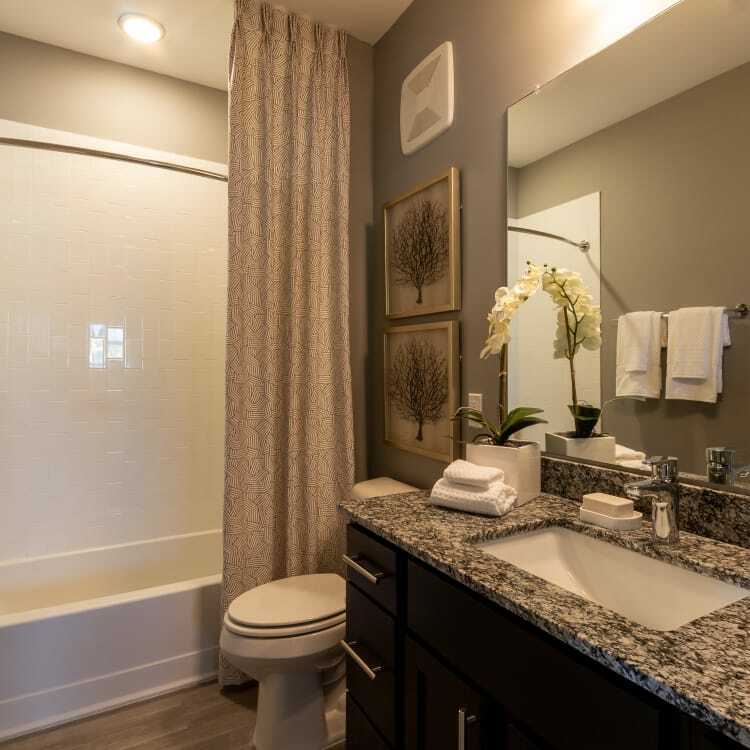 Embrace luxury Lowcountry living in a one, two or three bedroom apartment home or two or three bedroom townhome for rent at Alta Brighton Park. Contact us for more information on our community.